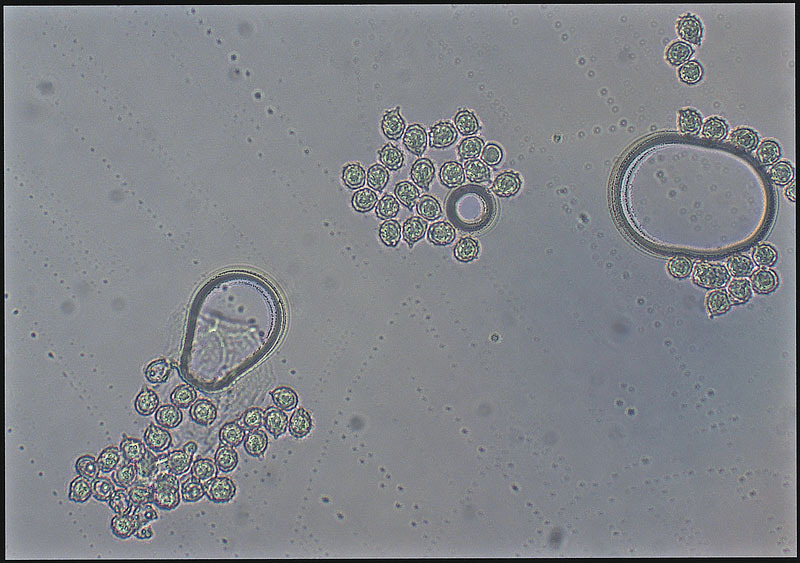 Cap: Yellow-brown to cinnamon; convex initially becoming centrally depressed; viscid when wet; striate margin with small bumps. 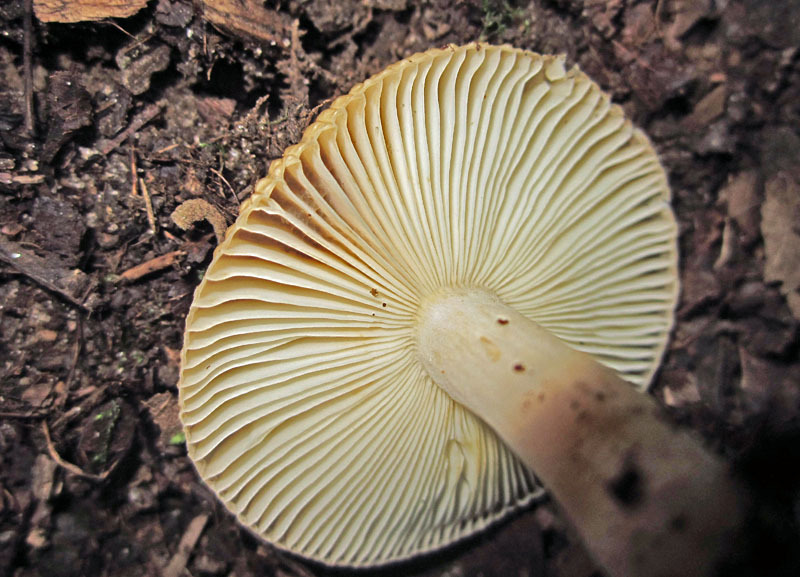 Gills: White to pale cream. 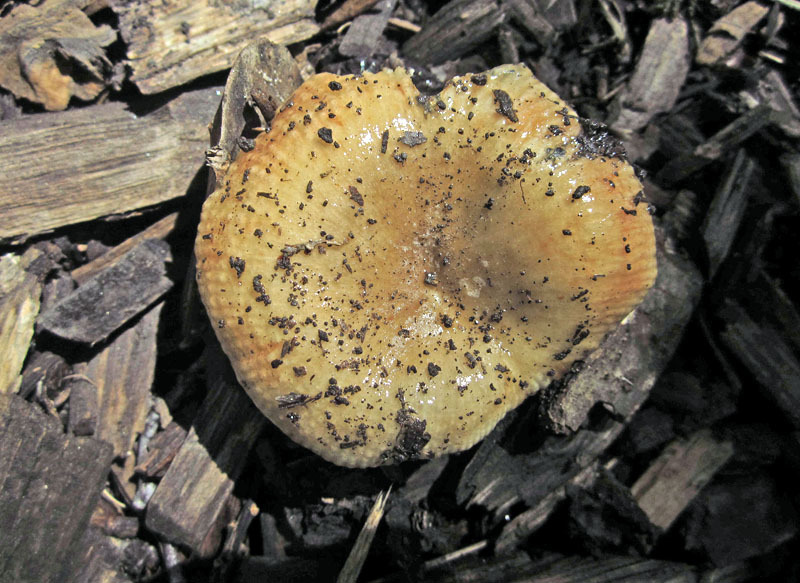 Stalk: White to pale yellow, bruises brown (J. Solem, pers. comm.). 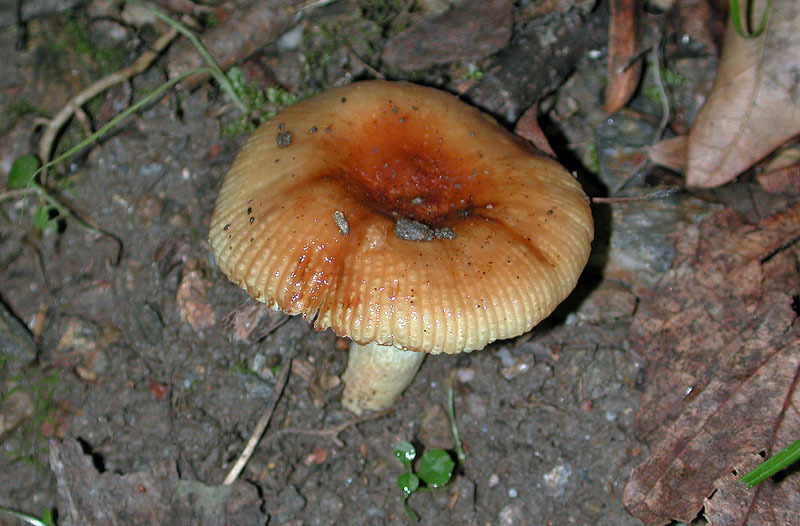 Habitat: Solitary or groups; under hardwoods or conifers.